“Look mum, a dinosaur is following me!” It’s not actually a dinosaur, but the stamped impression of a very clever shoe. Kids will love stomping about in these animal footprint sandals. They’re a witty creation called ‘Ashiato’ by Japanese design company Kiko+. Children can stamp an owl, dinosaur, gecko, monkey or cat paw print in the sand. 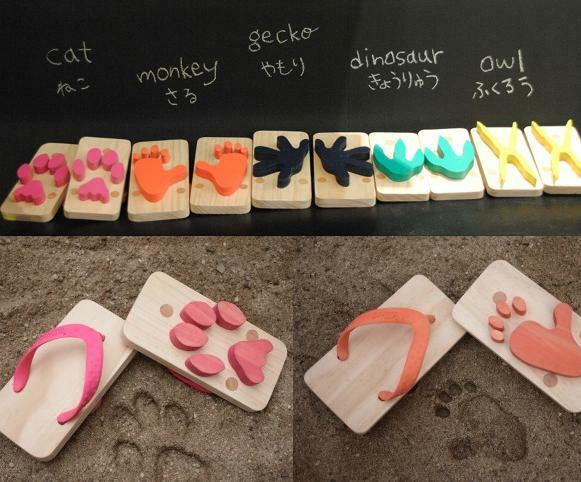 Ashiato sandals are a fun adaptation of the traditional Japanese flip-flop. These sandals look great. They come in five different colours (one colour for each type of animal) and four sizes. Sizes range between 16cm and 22cm long, so some older kids can wear them too. There’s even a Gecko footprint in navy blue for the discerning parent. Parents may be unknowingly familiar with toys by the creators of Kiko+, Kukkia Design. 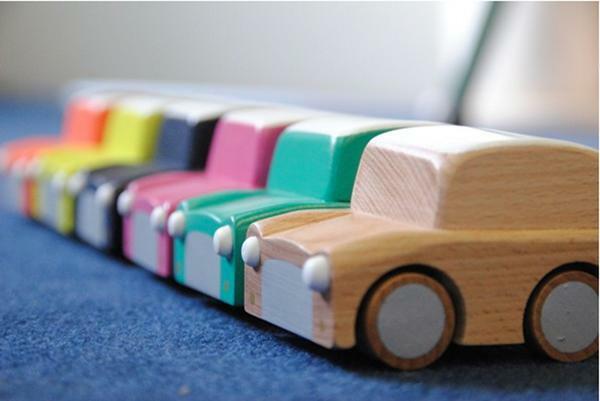 Kukkia Design is a wooden toy production company that has worked with various international companies since 2009. Kiko+ is their newest in-house brand. The brand works to the concept ‘Trees meet kids, kids meet play, play meets art’. Each of their six products are playful, simple in aesthetic and interactive. Some of their other toys are shown below. 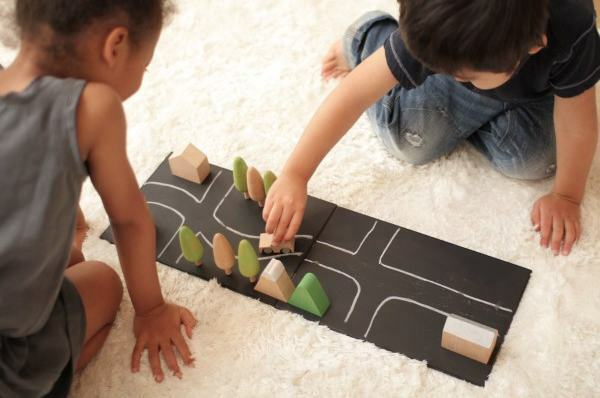 They include wind-up wooden cars named Kuruma and a chalkboard play city named Machi. Tulp Kids are expecting the first shipment around the second week of October and are now taking pre-orders for both the toys and footwear on the website. You might also like our post on Swedish Hasbeens, another great range of wooden soled sandals.